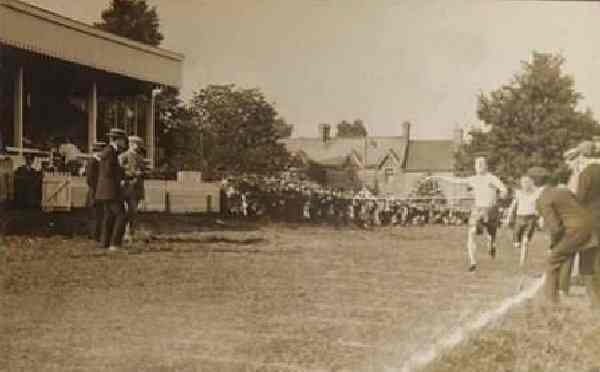 Although probably best known as Yeovil Town's Pen Mill Football Ground between 1895 and 1920, the ground was officially called the Pen Mill Athletics Ground, hosting a wide range of activities other than football (see Gallery). Yeovil Football Club was founded in 1890, and shared its ground with Yeovil Rugby Club in West Hendford (playing on alternate Saturdays). This was most almost certainly the ground which became Yeovil's first cricket ground. In 1895 the current club was founded and named Yeovil Casuals. They played in green and white stripes. At this time they started playing home games at the Pen Mill Athletic Ground, with their headquarters in the Pen Mill Hotel. The club adopted the name Yeovil Town Football Club in 1907, playing in a new strip of green shirts with white cuffs. 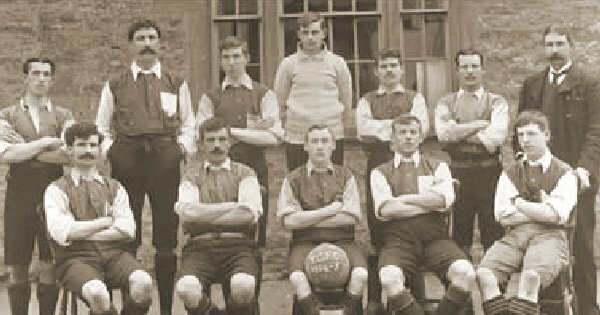 In 1908, another football club was formed in Yeovil - Petters United. They played in amber and black and their ground was in Brickyard Lane (today's St Michael's Avenue). Within a few years, Yeovil Town Football Club and Petters United were playing in the same competitions and a rivalry grew between the two clubs. In 1920, the two teams merged to become Yeovil & Petters United. The amalgamation coincided with a move from the Pen Mill ground to Huish, the first match taking place on 28th August 1920. Yeovil & Petters United was renamed Yeovil Football and Athletic Club Limited in 1923. 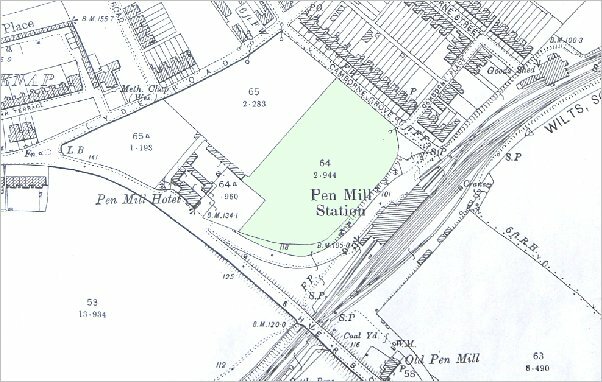 The 1903 Ordnance Survey showing the Pen Mill Athletics Ground coloured green. This is a 1938 aerial photograph. 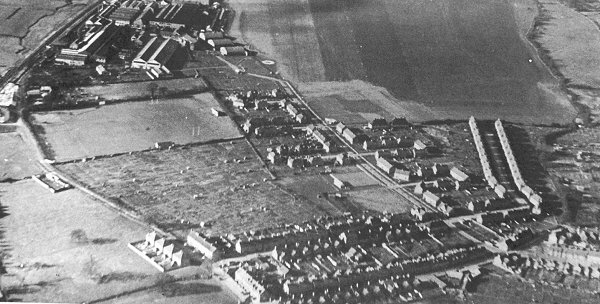 At top left is the Westland complex with West Hendford - at this time only a stony track - running across the lower left corner. The field between the allotments and the Westland factory complex is believed to be the ground shared by Yeovil Football Club and Yeovil Rugby Club from 1890 to 1895. It was later the Somerset County Cricket Ground. One of the earliest (if not the only) known photographs of a football match at the Pen Mill Athletics Ground. The Yeovil Casuals team of 1904-05 season. 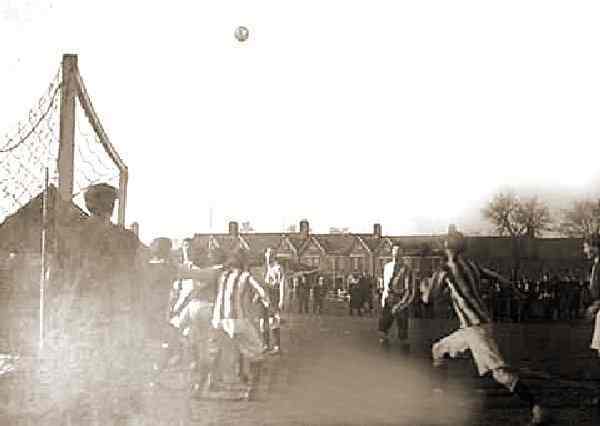 At this time they played home games at the Pen Mill Athletic Ground. 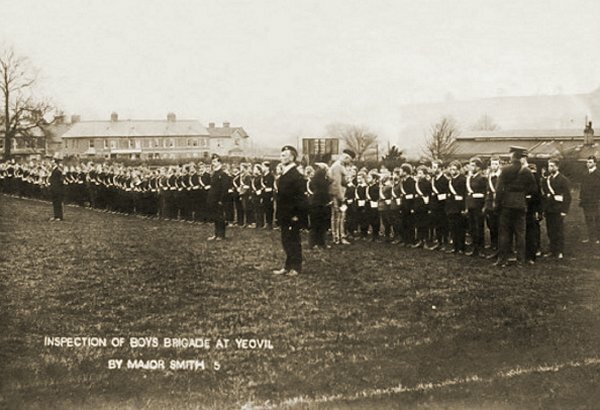 An inspection of Yeovil Boys' Brigade by the founder of the organisation, Major William Alexander Smith, at Pen Mill Athletics Ground in 1905. 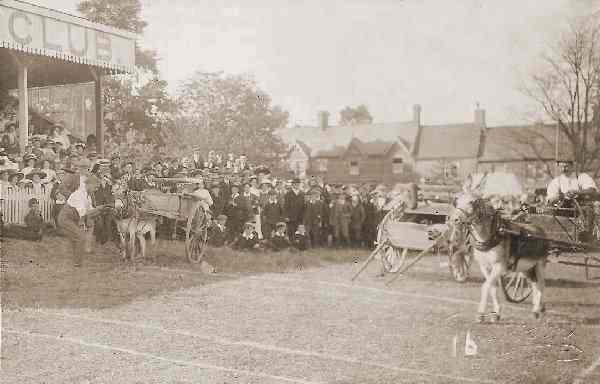 Petter's Sports Day, 23 July 1910, showing the 440 yards flat final. The event was held at the Pen Mill Athletics Ground. 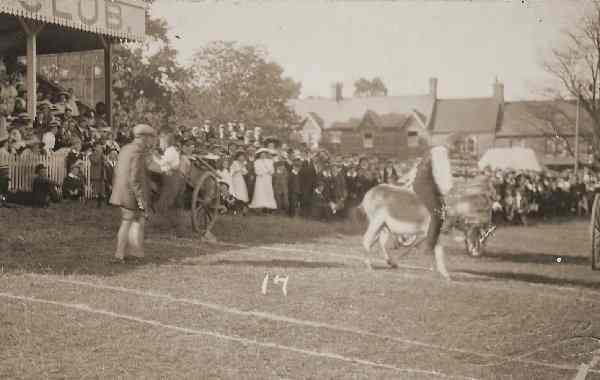 Donkey racing in the Pen Mill Athletics Ground photographed by Witcomb & Son around 1910. In the background are the houses of Camborne Grove (which remain today). ... and another Witcomb photograph from the same event.